There is one location on Dartmoor that would superbly fit into one of Dan Brown’s books. Imagine Robert Langdon being directed to Dartmoor on a mission to save the world. His initial clue reads something like this; “Find where three rabbits only have three ears between them. Then on your knees find where they; “Fear My Lord.” The year of their demise will direct you to the place when in that year Robert Burgoyne paid twelve shillings tax on his property…” All sound a bit dramatic? Well yes, but let me give you some pointers. Where, “three rabbits only have three ears between them ,” would refer to the old tinner’s symbol found in many of Dartmoor churches. That narrows the possibility down to nine churches. Next, “find where they; “Fear My Lord.” – well that clearly is some kind of inscription which is to be found in one of the nine churches. This would now entail an exhaustive search around the churches to find the inscription. 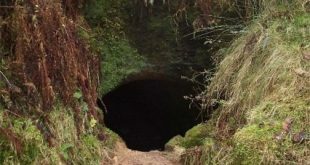 Provided Langdon kept his eyes peeled he would eventually locate it in the ‘Cathedral of the Moor, AKA St. Pancras’ church in Widecombe-in-the- Moor. Then, clever soul as he is he would finally deduced that; ” The year of their demise,” was 1642. 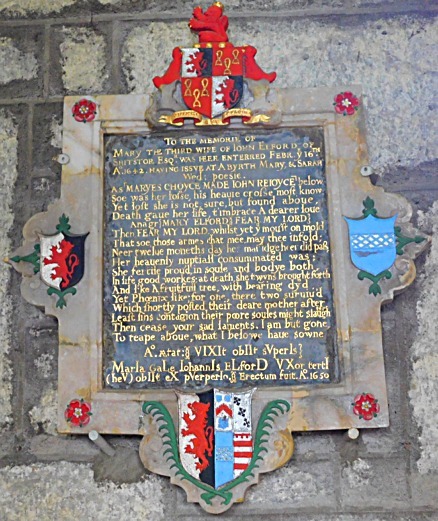 Lastly if he intimately knew his Dartmoor history or obtained a copy of Mike Brown’s (no relation) book – Dartmoor 2000, he would see that in the year 1642, “Robert Burgoyne paid twelve shillings tax on his property.,” at Belstone. And so his Dartmoor adventure continues onto Belstone, did he save the world? dunno, best ask Dan Brown? OK, fact or fiction? Well, a bit of both, there is indeed an ‘Enigmatic Epitaph’ in the church at Widecombe where one of the roof bosses depicts the ‘tinner’s ‘Three Rabbits’ or to be exact the ‘Three Hares‘. So why bother writing a page on a single epitaph? Because as far as I am concerned it is one of the cleverest of its kind to be found on Dartmoor. Why, purely because to establish the persons name one has to solve an anagram brilliantly hidden within its words. Mary the third wife of John Elford of Shipstor, Esq. To reape above what I belowe haue sowne. It is clear from the inscription that this poor soul died giving birth to twins of which one sadly died alongside of her. Therefore Mr. Langdon, one can deduce that the deceased was a female. Now comes the clever bit, “FEAR MY LORD,” is an anagram of Mary Elford. Despite naming the year of Mary’s death in the first part of the epitaph it is also repeated in a hidden chronogram where some of the letters also double as Roman numerals. When added up (if I have transcribed them correctly) come to the figure 1642 (which they were intended to) – again the year of Mary’s death. The translation of which I am told roughly reads; “In the 25th year of her age she lived and went above. Mary Gale the third wife to John Elford, alas, died from child birth, 1642. (This monument) was erected in 1650. This memorial also reveals other information about the Elfords. 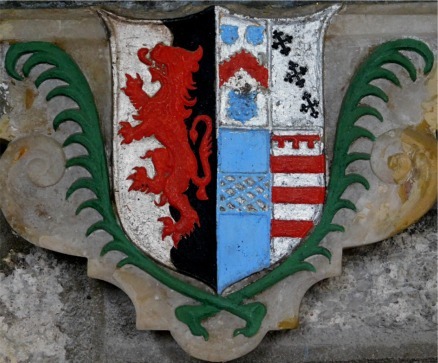 The shield at the bottom of the memorial displays five family coats of arms. The red lion rampant is the crest of Thomas Elford. The other four in clockwise order are those of Elizabeth Copleston, Anna Northcott, Mary Gale and Sarah Woollcombe – all being John Elford’s wives in chronological order. Incidentally it was the Elford family which once owned Longstone Manor at Sheepstor and now lodges just above the Burrator reservoir waterline. Oh, and finally if you go in search of the’Enigmatic Epitaph’ it’s mounted on the north wall and is virtually infront of you as you walk through the church door.